No Project is too large or small ! We work alongside a well established local flooring company North Devon Flooring. They have a highly trained team of measurers and fitters. We trust them implicitly to deliver the finest fit and quality of product. Specialists in carpets, short pile, long pile you name it they can get it! Natural weave flooring and especially kitchen flooring are just some of the many types they can offer. 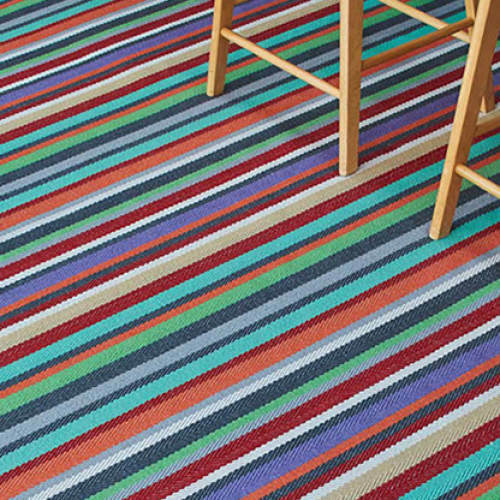 Even recycled fishing nets woven into the most amazing carpet……. seeing is believing. 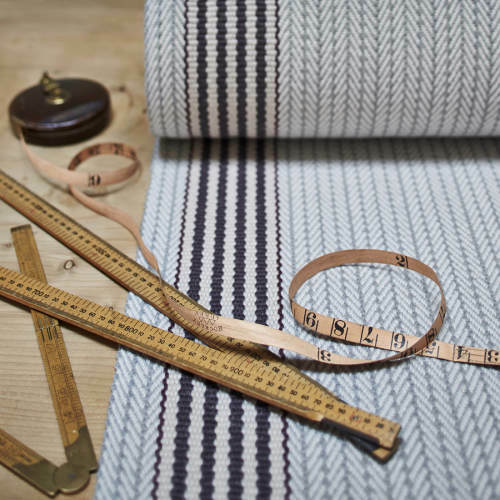 In our Barnstaple shop we have on display flooring samples from Roger Oates. Rugs and runners are their speciality. Made from British Cheviot wool, spun and dyed in Yorkshire, then woven in the UK. 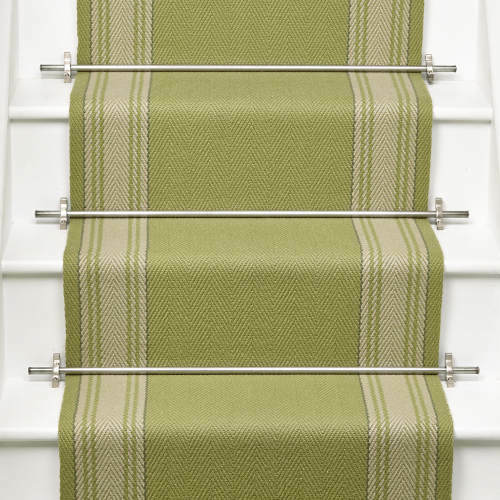 Designs are classic using bold colours or earthy neutrals, herringbone texture or their signature stripe, a Roger Oates rug or runner will make your staircase or hallway a talking point. 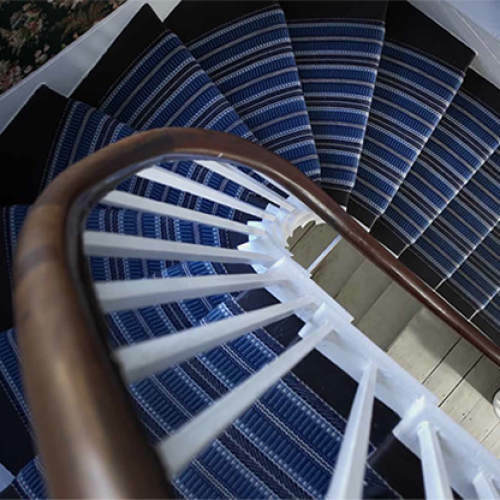 The images below showcase some of Roger Oates designs.